Nanyang Technological University (NTU) have developed ultra-fast charging batteries that can be recharged up to 70 per cent in two minutes. With the batteries, which have a lifespan of more than 20 years, electric cars will be able to increase their range dramatically with only five minutes of charging, which is on par with the time needed to pump petrol for current cars. The 10,000-cycle life of the new battery also means that drivers of electric vehicles would save on the cost of battery replacements, which could cost more than US$5,000 (S$6,350) each. 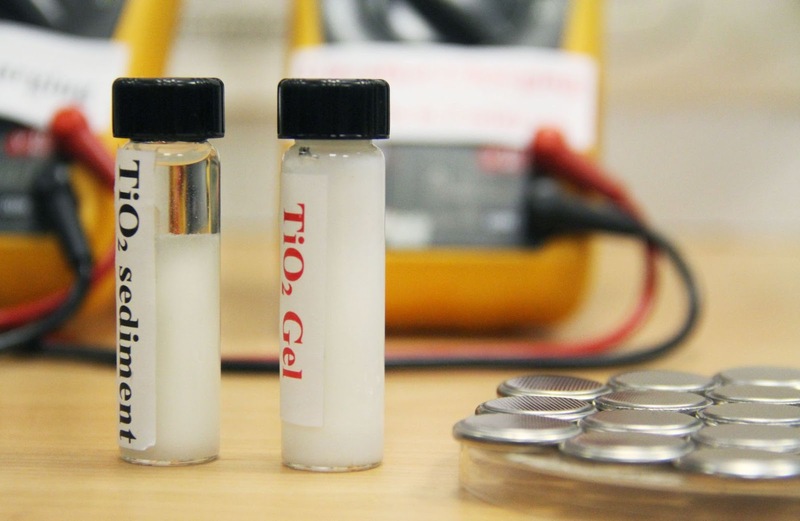 In the new battery, the traditional graphite used for the anode (negative pole) in lithium-ion batteries is replaced with a new gel material made from titanium dioxide - commonly used as a food additive or in sunscreen lotions to absorb harmful ultraviolet rays. The research project by Assoc Prof Chen and his team - which took three years to complete - was published in the latest issue of Advanced Materials, a leading international scientific journal in materials science. The team will be applying for a proof-of-concept grant to build a large-scale battery prototype, NTU said in a press release yesterday. The NTU team has licensed the technology for the fast-charging batteries to a company for eventual production. Assoc Prof Chen said he expected the batteries to hit the market within two years (2016).